Do you find yourself frustrated and want to pull your hair out when thinking about your millennial employees? Or does it seems like they leave before they become profitable to your team which leaves you to start the process all over again? If you find yourself shaking your head in agreement, you are not alone. Join, the Millennial Translator®, Amanda Hammett as she breaks down her philosophy: if you don’t understand millennials, you can’t keep them. We will bust prevailing millennial myths and replace them with facts about this often misunderstood generation. Topics will include: generational parameters, and the psychology around three of the biggest complaints about millennials in the workforce. Participants will be provided with a formula that will reveal a major area of missing profits from your bottom line (HINT: You probably have no idea this is missing from your P&L!). After identifying your leaky profitability pipeline (i.e millennial retention and engagement), we will turn our attention to practical action items to not only stem the loss of millennial employees but also to leverage them for higher profitability. Sales Reps respond and perform better when led by great leaders, not managers. Today’s digital sales organizations must be empowered, supported, recognized and led, not managed. This workshop will dig deep into five key areas every leader needs to create and sustain in order to build an environment and culture of success and achievement. That brings us to the question "What is the difference between leading and managing?" The Fundamental Difference Between Leading And Managing: Influence Versus Direction. Leaders influence. Managers direct. But leaders have a bias to influencing by inspiring and enabling through advice and counsel while managers have a bias to command and control. Participants of this workshop will learn best practices and new ways to lead through active participation and small group activities. Leaders will walk away with a new perspective on leadership, and specific actions they can implement to help build a culture of Great Teams and Great Performers! The key to winning more deals lies in navigating sales conversations better. But every type of conversation has its own "formula" for success. A great discovery call looks different than a great presentation or negotiation. We've surfaced the formula of success for each of these calls by analyzing over 1M call recordings with AI. Join Amit Bendov, CEO of Gong.io, as he walks you through how to win at every stage. You'll learn the exact playbook for bringing new opportunities from first call to close. You'll also come away knowing how to avoid the pitfalls at each stage that are waiting to trip up your deal. Factor 8 Leaders Lauren Bailey and John Healy are throwing down the gauntlet. Our industry has reported the lack of employee development as a challenge at the Rep, Manager, and Leader levels for over five straight years. If left unsolved it threatens the success and paychecks of every leader in the room. They will equip us to attack the problem head-on together with new data, tips from their personal careers developing teams at CDW and SAP, share low & no-cost ideas, and strategies we can all steal from their work today as an award-winning vendor of Inside Sales development. They’ve promised to make us laugh, fill pages of notes, and give away the keys to their kingdom to help us work together and erase this challenge from the 2018 state of the Industry report. Nothing changes if nothing changes. The key is to change before you have to! Discover Joy Baldridge’s quick tips on how minor change leads to major impact. Today, sales is struggling to define its role in the world. More and more we hear about the latest sales technologies that remove human interaction and personalization from the sales conversations. It's no wonder many hold a negative view of sales: 77% of buyers don’t believe sales understands their business and don’t think they can help. Sales leaders chase efficiency through automation and tool integration to scale their functions quickly. However, many sales technologies lack the ability to truly connect with the buyer and lose at the art of selling. On the other hand, sales organizations that haven't adopted any automation are less efficient and cannot scale, leading to slower time to close and often losing to their competition. Both these scenarios create a bad sales experience. And in a time when businesses are trying to focus on building lasting customer relationships and a recurring revenue model, automating a bad experience or failing to adopt some automation means less revenue potential at a massive scale. In our fast-paced Inside Sales environment, we have to overcome numerous challenges to achieve our desired results. On a daily basis, we are expected to turn around a fledgling campaign, resource our teams for hyper-growth, implement new technology or manage scarce lead source data campaigns—plus: PERFORM! When times become frustrating and it seems impossible, savvy Inside Sales professionals don’t get overwhelmed or give up; they simply remember they are at “A Point in Time” in their journey. In this session, Tom Leidigh will be your guide in exploring his proven perseverance philosophy, “A Point in Time,” and how to apply it to the key demands we face in our industry. Whether its growth, performance, change management, new strategy, profitability, or onboarding new hires, you can power through the day-to-day grind and achieve results. As your team evolves from analog to digital sales, where do you as a leader and your organization-stack rank against your competition and market best-in-class? Best-in-class have top-down strategic alignment, very deliberate internal collaboration, and clear road maps for prescriptive sales plays to highly influence sales objectives. These best-in-class organizations are also driving massive digital sales pipeline! In this session, Jamie Shanks will leverage 300+ global customer engagements to share his top 10 learnings, experiences and steps to digital leadership success. One of the biggest challenges facing sales reps and sales leaders is the failure to effectively connect, share and listen to our customers. The first generation of smartphone users has experienced a decline in empathy by 40%. Attention span has decreased from 30 to eight seconds. Salespeople must create interest span to combat lower attention span. The tendency for young people to flee from meaningful conversation results in loss of rapport and connection. Young reps prefer texting over conversing and emojis over debate. This makes objection handling more difficult than ever before. Most people don’t understand how AI can add value to their business, but as CSO Insights reports declining sales performance for five years running, it’s time to wonder if the current technology stack –– CRM –– has hit a plateau. 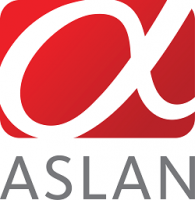 AI could be the fix, but a recent Frost & Sullivan study found that only 15% of interested companies are equipped to implement AI solutions. In this session, Suaad Sait, President of Growth at InsideSales.com, will demonstrate the differences between conventional technology and practical AI, to show how AI drives real results. This outline will also touch on the AI strategy and solutions companies of all sizes –– including the Fortune 500 –– use to drive 41% more pipeline, close 28% more deals, and increase revenue by 31%. •	Why is sales performance declining? •	What is changing from a buyer's perspective, including the complex purchasing process? •	What different technology options can increase performance levels? •	Where does AI fit into the sales process? •	When and how should sales leaders expect to see results from implementing AI solutions? Listening = Integrity. Listening = Team Retention. Listening = Revenue Growth. The best leaders and SDRs listen! Period. Learn how and prosper! 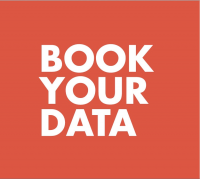 Join DialSource CEO, Joshua Tillman (and his guest speaker, John Abbamondi) in exploring how he and his team has spent more than a decade utilizing data to unlock new ways to measure opportunity, develop optimal processes and drive success for teams across industries, including financial services, technology, and sports. Gain insight on calling the right targets, implementing strategies directly within your CRM, and making informed, data-driven decisions to move your organization to peak performance. Decisions are increasingly being informed and even being made by machines armed with sophisticated deep learning capabilities. In a world where large online retailers generate billions in revenue per year without a sales rep, we must ask ourselves: What does the future hold for sales professionals? The answer lies in focusing training efforts so they maximize the development of the unique human performance traits machines lack. That is a new paradigm, and it will require an innovative approach to sales training – a Training 3.0 approach. Training 3.0 deploys a radically different learning paradigm that is quick, experiential, engaging, and uses daily-drip learning with built-in retention characteristics. Training 3.0 incorporates performance metrics that ensure a true and enduring ROI. High in social and entertainment value, the content is binge-worthy and is as ubiquitous on reps’ phones as their favorite apps. Coupled with a focus on negotiation/value capture, Training 3.0 will transform your company’s long-term growth rate, profitability, and employee performance. Join us for this session and you will learn how to leverage Training 3.0 so you can maximize growth, profitability, and customer relationships. Joel LeBon, PhD, University Houston, and Lori Richardson, CEO, Score More Sales will share initial findings from the recent survey on sales careers. Have you ever delayed giving feedback? The critical time is now to address issues head on! Joy will share her top three ways to get the best performance out of your team by delivering effective feedback. Buyers are inundated with phone calls, emails, and other sales touchpoints. They’re yearning for their sellers to rise above the noise and deliver them a better sales experience. Delivering that experience, however, is not easy for sellers. But it can be done. The best companies in the world are proving it. In this session, we’ll uncover why sales experience rules and how to deliver the best one with consistency and excellence. Who should attend: Company leaders and sales heroes. Anyone who wants to win in business and make a meaningful impact on the world. It’s said that management involves dealing with complexity, and leadership involves helping others deal with change. Particularly in today's digitally connected, socially engaged, mobile-attached and video-hungry world, where your customers and your competitors can demand change from anywhere and at any time, the old adage is truer than ever. Change or die, and to do this you’re going to need some good direction. More often than not businesses and the leaders of those organizations fail to adapt quick enough or even at all. In fact, only 71 companies remain today from the original 1955 Fortune 500 list. In this presentation, you will be taken on a journey to understand how buyers have demanded change yet, leaders did not respond. We will learn how sales leaders must transform their organizations to engage with their modern buyer the way they want you to engage with them. It’s no longer just about leveraging the phone or how many times you send an email. To win at sales, you need more than an outbound or an inbound strategy, you need The Omni-Channel experience. ● What is the Omni-Channel? ● How you must adapt to change or else. Join us as we hear tales from our peers one-year later after talking about the Basic Building Blocks and creating a go-forward plan for our team. Come hear and share what worked (and well, what didn’t) as we learn from all and every experience. We’ll also dive into two new areas: both Leadership and Reps’ creating their own 30/60/90-day plans. 3. Why your reps should do a 30/60/90-day plan – we want our reps to be accountable, to take ownership, to think like the General Manager of their own business. Let’s talk about this controversial topic, why it makes sense, and how you can implement it with your team. 4. Takeaways – we’ll have time for everybody to craft a high-level plan to take advantage of Leadership Summit and your time back in the office. As your team grows past 20 reps, it becomes harder and harder to know what’s happening on your sales calls. It doesn’t have to be this way. In this session, you will learn exactly how you can keep your team on track having the right conversations with buyers. You will see what you can do to create a sales coaching culture that your reps love and managers need. Finally, you will discover how to change rep behavior to maximize conversions, increase win rates, and close more business. Imagine cloning your top reps. It’s possible. This break out will go over what you need to do as a leader to help your reps become the next future leaders in your organization. Buyers have access to new technology, which is changing their buying habits. Sales professionals need to adapt and become a digital seller or they will be left behind. In this session, we will discuss the most important steps to becoming a digital seller: getting organized, enabling seamless collaboration, building on the work of others, strengthening customer relationships, and optimizing sales performance using Office 365. Bring your laptop for hands-on learning! 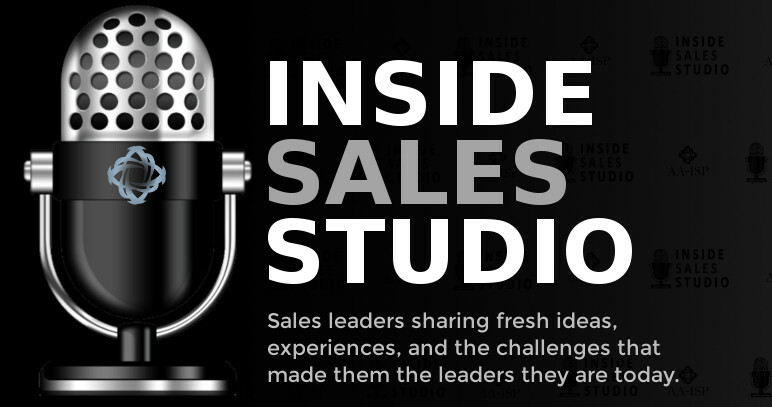 Inside sales has become the dominant B2B sales model, but it’s a noisy world. One in which it’s become harder and harder to engage with buyers. They are barraged with requests. They don’t have the time to meet with every vendor. They don’t think they need your solutions. And in some cases, they don’t recognize they have a need. Yet, the number one success criteria for any sales rep is engaging potential buyers in a conversation. Today’s B2B sales professionals want to establish themselves as collaborative business advisors with insights instead of being considered order takers. However, a new study indicates that too many sales reps are coming up short—unable to connect with decision makers, failing to demonstrate business acumen, and lacking credible communication skills. A recent survey shows reps are ‘consistently effective’ in engaging executives only 34% of the time. Is that good enough to meet your revenue goals? In this session, we will discuss the highlights from the research study: Sales from the Buyer’s Perspective. This study examines B2B sales transactions from a rare perspective—the buyer’s viewpoint. Discover what your buyer thinks of you and leverage that insight to improve your effectiveness when engaging prospects. Frontline managers are typically successful former sellers looking to progress their career, but struggle in their transition to managing others. The best performing managers don't just hit their sales number, they make average salespeople great, and make great salespeople exceptional. 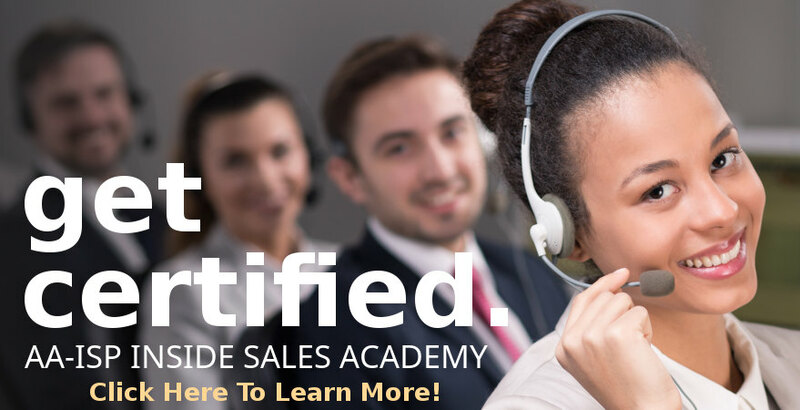 This session is designed for frontline managers who want to learn the fundamentals of modern sales management, and sales directors and VP's who know their frontline managers struggle with coaching and are seeking ways to fix it. With 67% of the buyer’s journey happening digitally, it’s critical for businesses to understand the impact and evolve with the digital transformation. In this interactive session, Octiv CEO David Kerr will discuss the seller’s burden and tactics to revolutionize your organization’s workflows to accelerate deal velocity. A career entrepreneur with expertise in building and growing businesses, Kerr brings more than 20 years of experience in executive management, business development, sales, and marketing and will share actionable takeaways in this session for today’s modern sales leader to improve sales productivity, increase efficiency, and reduce time spent on non-selling activities. This presentation will address practical tips for doing something that seems like it should be easy, yet turns out to be quite difficult: carrying on a meaningful conversation with buyers. Marketers have been using Adele Revella's Buyer Personas for nearly two decades. More recently, sales teams have started to profit from them too. And this presentation will introduce and explain Buyer Personas to those who are not yet familiar with them. Then, I will discuss how to use Buyer Personas as a means toward a new end, communicating more effectively with customers and colleagues. As open-ended questions are the heart of the Buyer Persona process, we will probe best practices for leading effective, productive conversations that solicit authentic, unexpected, and actionable insights. The Buyer Personas framework is, in turn, useful for all manner of situations in which we must converse meaningfully to build rapport and gain trust--with prospects, customers, interviewees, and even peers. This presentation is intended for sales people who aren't familiar with Buyer Personas but are interested in learning more about them, and are moreover eager to discover quick strategies making the most out of time with customers, or anyone else. Getting to engagement is the hardest job in sales right now. You have a great brand and a solution that solves buyer problems, but you also have competition. Some of your competitors are successfully selling inferior solutions. And here's the worst part: some of your prospects are buying them. In this session, you will learn how to turn your team into selling "super heroes" who give you a long-term competitive advantage that can’t be beat. Join this breakout and walk away with tips and techniques on how to think bigger picture and better communicate with your buyers. Coaching sales teams effectively is the competitive edge to consistent performance, retaining top talent, and cultivating future leaders. Step up your game by learning what NOT to do from a guy who’s seen it all at the hottest companies in Silicon Valley and beyond. 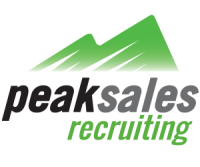 If you are an inside sales manager, then we don’t have to tell you how busy you are. Between meetings, metrics reporting, setting and achieving quotas, training and motivating a team of sales reps, hiring etc., you’ve got a lot on your plate! Unfortunately, many sales managers have never been properly prepared for all the responsibilities they face. And that’s why we’ve put this session together. Join us for the training you need (and may have never received), and you’ll learn the Seven Crucial Skills that will instantly make you more successful at driving revenues and making your numbers. Don’t leave the Summit without the Leaderships skills you really need! Come bust some myths and learn how to avoid common pitfalls that have smart leaders making dumb hiring decisions. Karen will reveal the simple secrets from her 5-step interview process that gives you great fact-based information AND entices the candidate to fall in love with your organization. Hire the best, release the rest! As your Inside Sales teams expand across your organizations, varying levels of expectations and resistance are often experienced. The term Inside Sales can mean different things to people within the same organization. Often times, inside sellers are viewed in secondary importance to their field selling counterparts. Gaining alignment across the organization on the strategic goals and operational mission of the Inside Sales teams can be difficult, especially within growing organizations. How to properly set expectations, communicate across the organization, and collaborate with counterparts (field sales, sales engineers, marketing, professional services, and executives) becomes as critical as the tactical execution of inside sales reps and teams. In this session, we will explore the ways to elevate the status and importance of your inside sellers. Aspects such as vision, strategy, cadence, key-person involvement, and handling resistance will be discussed. Imagine a sales team where inside sellers command the same level of respect as outside sellers…and how you can remove the roadblocks to success! Telfer School of Management researched over 25,000,000 real-life sales leads. At the same time, they surveyed sales development professionals to seek their perspective on their sales engagement efforts. What happens when you cross-reference what a profession believes to be true and best-practice with what research says is actually true and best-practice? Learn what mistakes we are making, and what you can do differently to engage more, qualify more, and sell more. This session is ideal for anybody in sales leadership looking to adopt best practices and dramatically improve their sales cadence, engagement, pipeline, and revenues. This session will focus on: Inclusive Culture, Mitigating Risk, and Increasing Productivity & Engagement. Get your sales team to master time, and they can master sales. But making the most of their precious selling time is impossible if you and they don't know the time cost and information impact of the core Inside Sales activities that compete for their time: phone, email, social outreach, and online research. •	Whose time matters most: the sales reps' or their prospects’? This session will focus on how to build leadership development programs from individual contributors through senior leaders. Individual contributors will learn how to create their leadership career path and hold valuable, effective career conversations with senior leadership. You’ll learn why leadership development is important personally, professionally and imperative to your organization’s growth and success. Individual contributors interested in leadership and current leaders who want to develop future leaders are welcome and encouraged to attend. Prospecting isn’t easy; it takes skill, patience and dedication. But even these commendable attributes aren’t enough to take you to the finish line of a closed-won deal. Instead, today’s leading sales pros know that the good ol’ ability to listen – really listen – is what’s needed to drive the sales process end-to-end. Ultimately, it comes down to this: if you’re able to unearth the pain points of your prospects, you’re in the running to addressing them and providing value. And with that, you’re that much closer to turning your prospect into your customer. Join us for an informative session that will discuss why you need to understand GDPR in 2018 and what you can do to prepare your sales and marketing teams. Sales Enablement is the heart of empowering sellers to be great and love what they do. Microsoft’s Inside Sales team is building a digital Sales Enablement experience, created for sellers, by sellers. Grab a seat and dive deeper into the Microsoft Inside Sales journey and see how the Digital Enablement Experience has come to life at Microsoft! One of the biggest challenges Inside Sales managers face is how to maximize profit. Negotiation is one of the most often-overlooked profit levers, and small improvements make a big difference. What would happen to the profitability of your company if each member of your sales team negotiated a little better? With negotiation skills, you can reverse small profit leaks and turn them into big profit gains. Complement your investment in BI tools, CRM and product training with negotiation and your reps will be prepared to create and capture maximum value with every customer (even those professional whiners who always get the lowest price). Companies who train their team in negotiation earn a return on that investment deal after deal after deal. What would a few percent increase across the board mean to your bottom line? In this session, you will learn specific negotiation tactics your sales team can apply immediately. If you have sales reps who might be giving away a little more than necessary, attend this session! Come see how negotiation training can impact your company’s success. Ever have that gut feeling that something’s not right with your sales team culture—but don’t have the objective data to back it up and take action? Engaged sales team members outperform satisfied staff by over 40%. Understanding and implementing an effective employee engagement strategy for your team can make all the difference in lowering sales team churn, increasing productivity, and improving quota attainment and revenue. 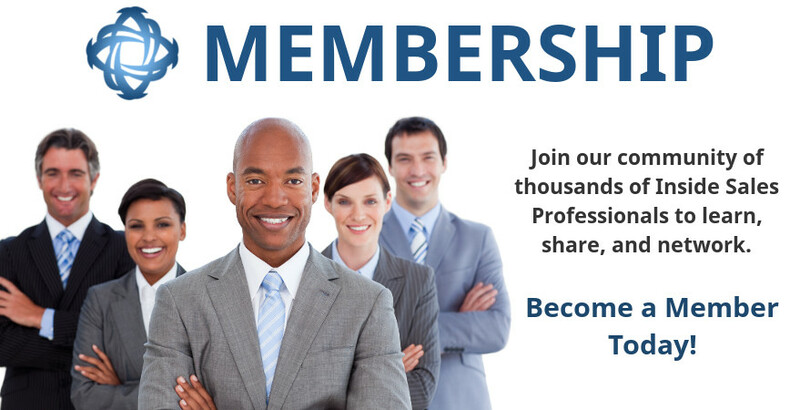 - Learn proven methods and best practices for retaining team members. - Understand what actually motivates your reps and how to foster that within your culture. - Learn the simple, actionable process you can immediately implement across your team to fix issues and gain optimum employee engagement. - Hear real-life examples and success stories from companies implementing these strategies for unprecedented business results. 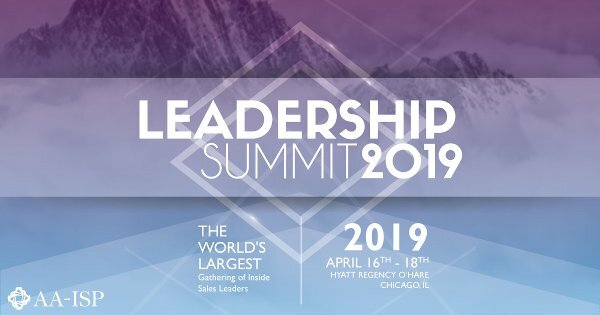 This highly interactive and experiential session will bring you insights to leading an internally motivated sales organization aligned for peak performance. You will be engaged in both leadership strategies to create a self-motivated team and provide the tools needed to raise the level of your team to new performance heights. We will learn how to create and build stronger relationships with your team, along with tools and strategies your team can use to create long lasting durable relationships with your customers. Over the last several years, we have seen amazing progress in sales training, technology advancement, management tools and more. One area that has been voiced by the Inside Sales community at various levels is, “How do we empower the team to help them achieve great results?” This segment will address the topic of empowerment also known as Inside Sales involvement. Empowerment is the process of enabling or authorizing your team members to think, behave, take action, and control work and decision-making about their job in autonomous, independent, self-directed ways. During this breakout session, we will learn together the process of empowerment: how to go about it, what to do right now, along with some tools you can start using to empower your team members to get involved and achieve results for them and your organization. It’s clear that if you want your sales team to remain competitive, the effective implementation of AI is now essential. Developing an effective AI strategy is the new “must-have” skill necessary for all senior sales leaders. But, how do you choose the best path to effectively implementing AI for your sales team? This talk will provide a practical overview of the most effective uses of AI for sales – from AI bolt-on modules to existing CRMs and sales enablement tools, to fully powered AI assistants for your salespeople. We will also cover the different strategies for effectively implementing AI. Bring your team because there will be time for discussion on the important decisions all companies must make regarding AI. By the end of the talk, you will have a blueprint for effectively implementing AI in your company. This session was designed by a team of AI experts who have implemented AI in companies of all sizes as well as for governmental agencies. Jon Selig sold tech for 12 years, which was a very well-paid internship for his career in stand-up comedy. Prospect attention spans have been colonized by pocket-sized entertainment centers and are shorter than ever. Salespeople need to quickly relate to prospects to connect and effectively engage them. In this very abridged version of Jon's training and workshop, he will share learnings from his stand-up comedy and sales careers on why and how humor helps us relate to, connect with and engage prospects - particularly when we can make prospects laugh about their pains & challenges. We conclude with attendees collaboratively crafting a tasteful, relatable joke applicable to salespeople.